Lawyers for over 4000 ex-miners are marking this year’s Annual General Meeting (“AGM”) of mining giant Anglo American plc with the launch of an online video highlighting the plight of miners suffering from the respiratory disease, silicosis, allegedly caused by excessive dust exposure on Anglo American gold mines. The video has been endorsed by Leigh Day, Action for Southern Africa (“ACTSA”) (formerly the Anti-Apartheid Movement) and the South African National Union of Mineworkers (“NUM”). It features images by the award winning photographer, Hein du Plessis, who took the haunting portraits of miners for the 2012 exhibition, “Real People. Real Mining”, focusing on the plight of black miners employed on South African gold mines. The video’s soundtrack is by South African musician Hugh Masekela who has given his express permission for the track “Stimela” to be used in the video. The song details the cruelty of mining for those who had to work “deep down in the belly of the earth”. Anglo American plc’s AGM will take place in London at The Queen Elizabeth II Conference Centre, in Westminster, London from 2.30 pm on Thursday 24 April 2014. Senzeni Zokwana, the NUM President, and Peter Bailey, NUM’s Health and Safety National Chairperson, will be personally attending the AGM to speak up for the victims. Leigh Day are assisting 4400 miners in their legal action against Anglo American South Africa Ltd (“AASA”), now a wholly owned subsidiary of Anglo American plc. The ex-miners are claiming damages from AASA for their illness, which they claim is due to negligence by AASA in failing to control silicosis and dust exposure at the 11 gold mines within the Anglo American group prior to 1998. 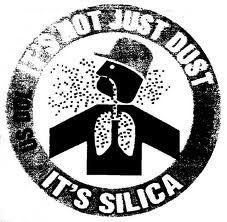 Silicosis is caused by excessive dust exposure and increases the risk of contracting TB, which is endemic in rural areas of South Africa. The combination of silicosis and TB is often fatal. Rates of silicosis and TB are very high among black gold miners, who undertook the dustiest jobs in the mines. Medical facilities available to ex-miners in areas such as the Eastern Cape are severely lacking. “Anglo has been well aware of the predicament of these ex-miners and their families for decades. It is high time that they and others in the industry established a compensation scheme to alleviate the suffering of the workers on whose backs it built its business”.